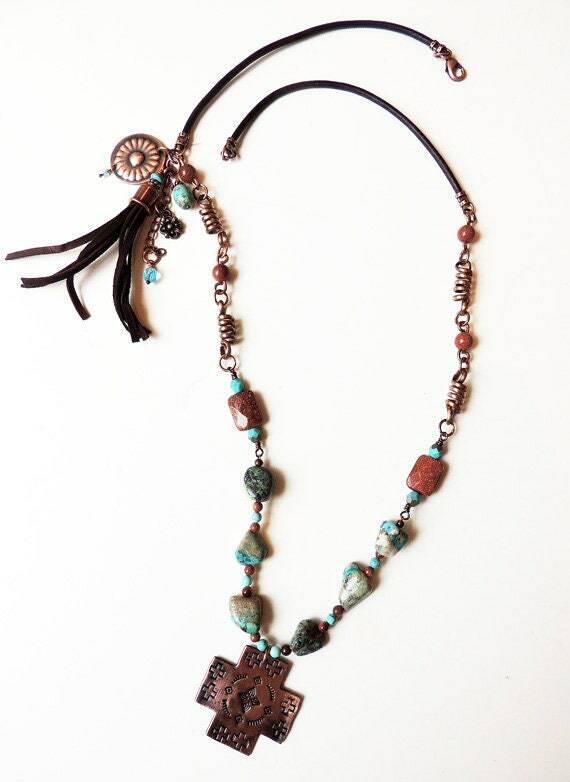 I love turquoise with copper and decided to create this necklace using natural Turquoise Nuggets and Turquoise "dyed" Magnesite along with Gold Stone. I then made twisted copper links for the necklace. 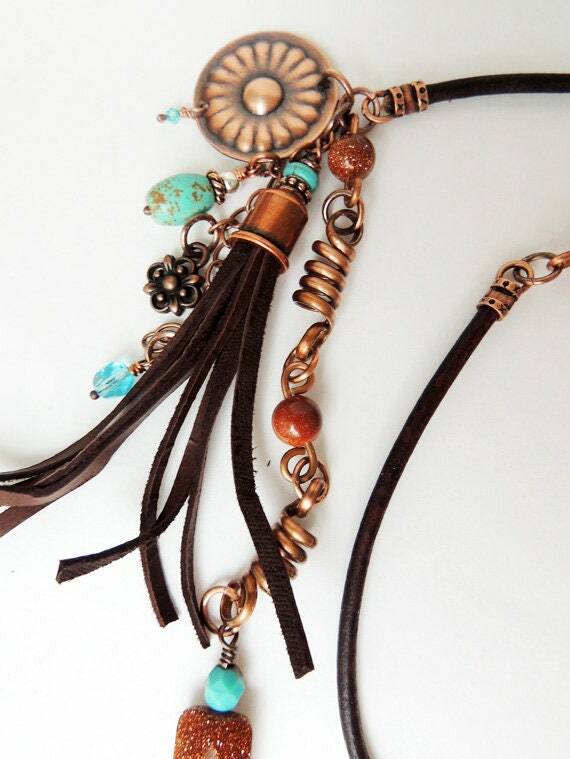 I created a leather tassel embellishment with a copper concho button that I created. The necklace is 32 inches long. I used a natural brown leather 3mm cord and copper clasp. 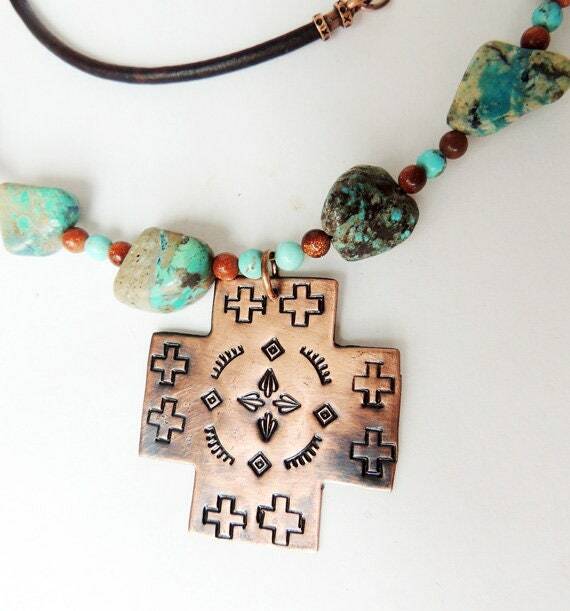 The cross is hand cut from copper sheet metal and then stamped. 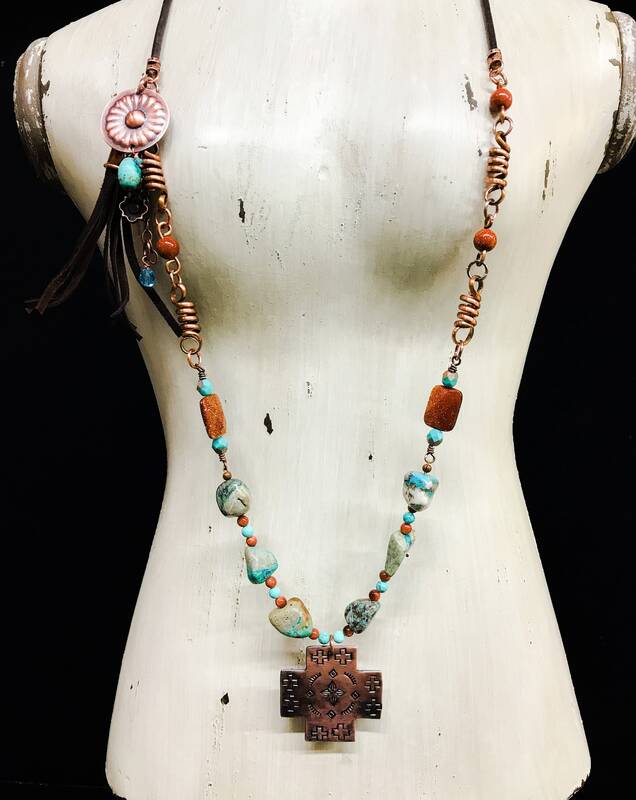 It has been given an oxidized patina and a protective jewelry lacquer. 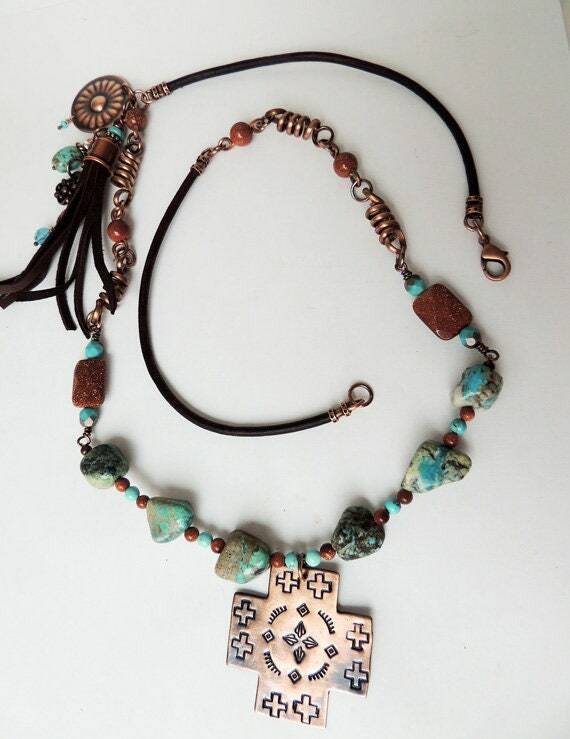 This is a great boho piece or even a piece to finish off that western look.